Mozilla states that it is on track to release Firefox 6 next week according to notes posted on the company's website. 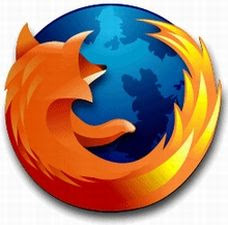 Developers have signed off on Firefox 6 and also anticipate no problems that could delay the release date of August 16 for the most recent upgrade to Mozilla's web browser according to meeting notes. According to the notes, "On track with a few bugs still remaining. No concerns for Tuesday." Mozilla has used a new rapid-release schedule ever since the spring of this year. This new schedule delivers a new version of Firefox every six weeks, a move that many analysts and critics are comparing to the same one Google uses to update its Chrome browser for the last year. Firefox 5 was released back on June 21, six weeks ago next Tuesday. Mozilla is already working on Firefox 7 and plans on releasing it on September 27. In addition to that, if the rapid-release schedule works like it is supposed to, Firefox 8 will become available on November 8 with Firefox 9 becoming available on December 20. Firefox 6 includes multiple, noticeable changes to the browser, including highlighting domain names in the address bar. Both Google Chrome and Internet Explorer 9 do a similar thing by making domain names boldfaced. In addition to that, Firefox 6 also reduces start-up time when users rely on Panorama, the multi-tab organizer for Firefox. Some users, however, are upset by the change of pace for Mozilla and Firefox including corporations like IBM, which have installed the open-source browser on tens of thousands of Windows PCs. However, that has not frightened Mozilla, who has not backed off of the rapid-release schedule at all. Though, in response to enterprise complaints and concerns, Mozilla has established a committee in order to take feedback from users. As well as releasing Firefox 6 next week, Mozilla also plans on releasing Firefox 3.6.20, an update that will include security patches and other fixes to the 2010 edition retained by nearly 1 in 3 users of Firefox. When Firefox 6 ships, users running Firefox 4 or Firefox 5 will be offered the newest edition via the browser's update mechanism that is triggered when the "About Firefox" dialog is opened. As of the end of July, only 11% of Firefox users were still running Firefox 4 and 48% were running Firefox 5. What do you think? Are you excited about the release of Firefox 6? What are your thoughts on Mozilla's new rapid-release schedule? Let me know in the comments section below.